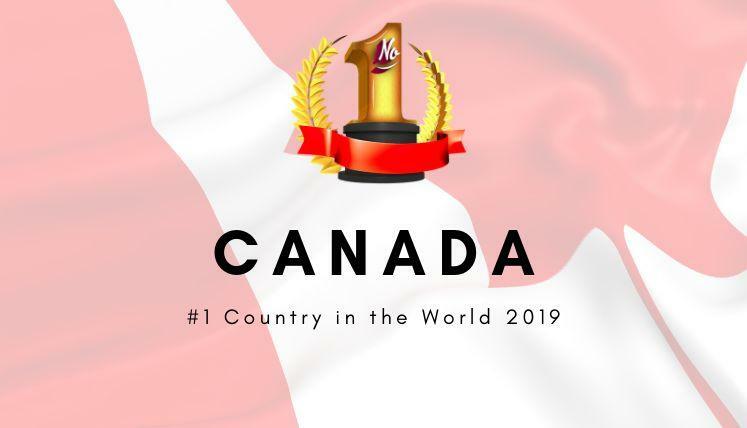 Why Canada has been ranked as the no.1 country in the world 2019? Canada has been ranked as the no.1 country in the world 2019 based on quality of life benchmark by US News and World Report. It’s 2nd year in a row Canada has got the top ranking for quality of life criteria. In any country, quality of life standards are derived from few key aspects of living, such as, job security, political stability, individual freedom and environmental quality, etc. It’s not the wealth that make a country livable for the residents, but the quality of life people live there, makes a country great for human living. The US News and World report run a survey every year in top 80 countries to determine their global ranking based on 75 different parameters of human living. This study includes the questions asked from over 20,0000 global citizen to know and evaluate their perception on different aspects of living. To decide the country ranking, equally weighted average of scores from nine country elements are taken that relate to quality of life in a country, i.e. affordable, a good job market, economically stable, family friendly, income equality, politically stable, safe, well-developed public education system and well-developed public health system. The sub ranking of Quality of Life had a 17 percent weight in the overall Best Countries ranking. Canada also ranks no.3 in the world for overall best country ranking, as per US News and World Report. Also read-What is the easiest process to immigrate to Canada from India in 2019? No.9 in the world for Green Living. This is now widely considered fact that Canada is hands down the best country in the world for immigrants looking to get permanent residency or citizenship in a new country. It’s lenient immigration policies, immigrant serving organizations, easy going point based immigration system, and available professional opportunities make it the first choice of immigrants. It’s the only advanced country that relaxing its immigration process and requirements, while most fellow developed nations are doing just the opposite. The adverse immigration trend across the globe is evident from the recent tough immigration stance by mighty USA and UK as well. The Canada Permanent Residency visa today is one of the easiest PR visas to get in the world. if you are interested in moving to Canada in the year 2019, you may get in touch with certified Canada migration experts and professionals at Visas Avenue for complete Immigration process assistance.